February is upon us and March is already on the way which means Nike is in that timeframe where they show off their latest Air Max sneaker. This is because Air Max day falls on March 26th and Nike tends to use that month to release new Air Max models. 2019 has rung true in that regard as the Beaverton brand has spent a lot of time teasing the Air Max 720 and the plethora of colorways that we're going to eventually see. Among these colorways are some basic monochromatic ones, as well as some pretty interesting gradient versions. The latest colorway to be introduced by Nike comes in a sleek "university red" that is sure to turn a few heads. The majority of the shoe's upper is dressed in red although there are some hints of black here and there, especially on the midsole above the air max unit. 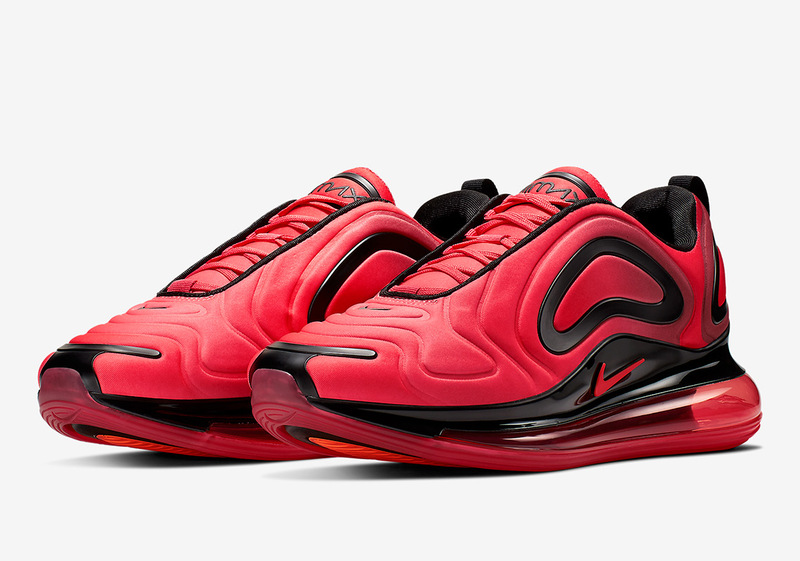 Speaking of the air max unit, that comes in a translucent red and wraps all the way around the sneaker. Air Max branding is found on the tongue and on the outsole. According to Sneaker News, you can expect these to drop sometime in March for the price of $180 USD.